Premium quality down to the finest detail – that's the motto of the SCANIA R-series. The functionality, finish and design of this driver's cab speak for themselves. So it's no surprise that this vehicle is becoming the main feature of BRUDER Profi series trucks. The driver's cab – built, as usual, with great attention to detail – has a wind-screen made from unbreakable polycarbonate and can be used with the Light and Sound Module (art.-no. : 02801) that is available for many articles. The mirrors of the SCANIA trucks can be folded in and the doors can be opened. 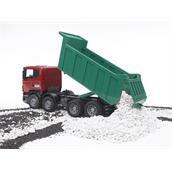 The huge tipping and fixable trough has a tailgate that can be opened to unload the transported payload. 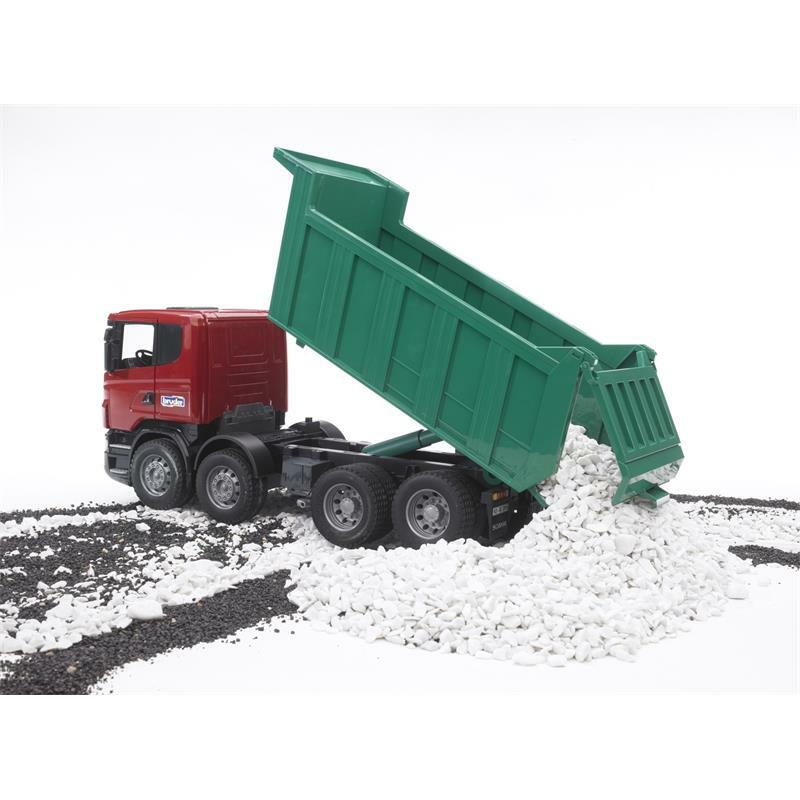 The SCANIA tipper truck is equipped for heavy services with its four axles and robust soft tyres.